Being a mother means having that extra oomph: it’s a big affair to look after the house, kids, the partner (!). All of this must be rewarded with an original and nice present. On MakeTank you can find unique jewelry with the initial letter of your mother’s name or accessories created with digital techniques such as 3D printing, laser cut and eco-design. Get inspired by the following selection of modern and colorful bijoux we have chosen for you! A pendant with your mother’s name is always a fashionable item! 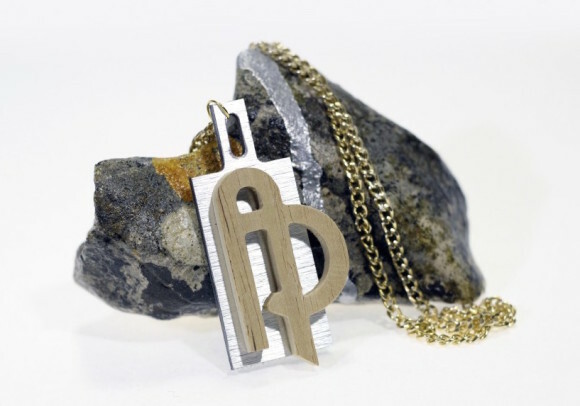 In My Name – Consonant Necklace the initial letter in laser-cut wood comes out from a steel base. 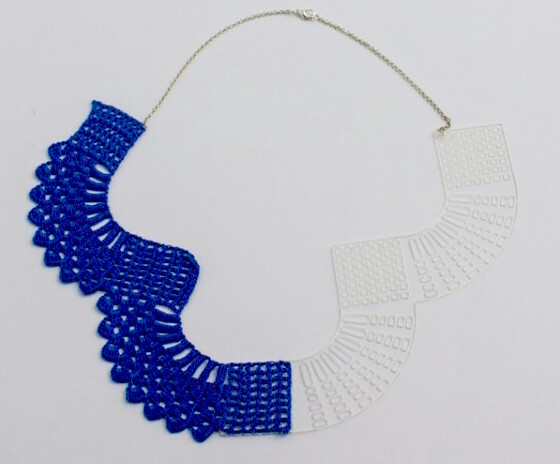 A mix of unique materials compose this necklace born from the creativity of two designers from Puglia. My Name is the perfect gift for small budget and you can get it for €19,90 instead of €23,00. 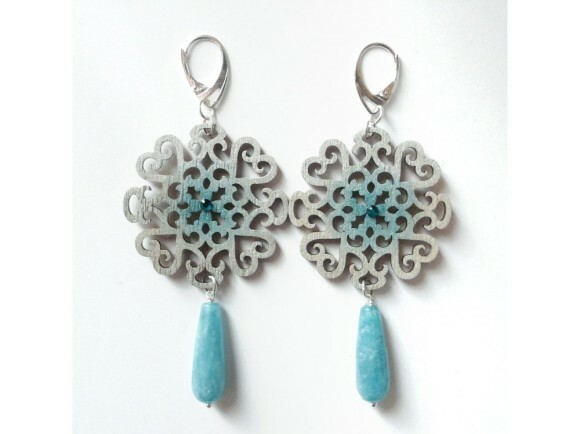 Oriental Flowers – Double Face Earrings (€33,00) are designed to recall oriental atmospheres, but are at the same time easy to wear with any outfits. For women loving versatility also in jewels, with Oriental Flowers earrings show two souls: one side natural wood, the other one painted with bright colors. A nice accessory enhanced by precious stones and with the typical colors of the spring season. Perfect to add a touch of style to any classical look, Ouro Branco (€320,00) is a porcelain ring with gold edges. For moms who love minimalism. The special shape, color and glaze of the ring creates a unique surface structure which reminds of camouflage techniques. “Ouro Branco” is a limited edition, an exclusive and elegant jewel at the same time. With Jazzo your mother’s life takes another rhythm! 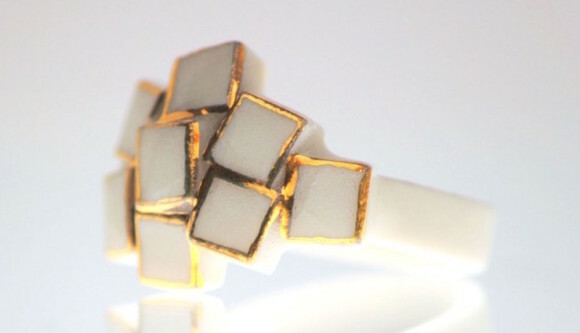 Jazzo – Bracelet is a non-conventional 3D-printed bracelet created with an algorithmic software using visual coding. 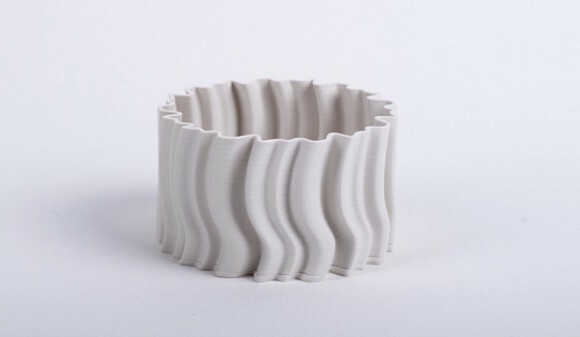 Made in PLA, a flexible material, and available in black and white, Jazzo can be yours for €24,00. Nuvola – Necklace comes from three generations of creativity. Its designer digitally re-creates, with laser cutting, a crochet design originally invented by her grandmother and now handcrafted by her mother. Nuvola is a combination of the new digital crochet and the classical analog version. But hurry up! Get the last necklace in blue at the price of €40,00 instead of €60,00. Are you looking for more inspiration? Get a look at our jewelry catalogue and its cool accessories, suitable for any outfit!